it is a CAREER with OPPORTUNITY! 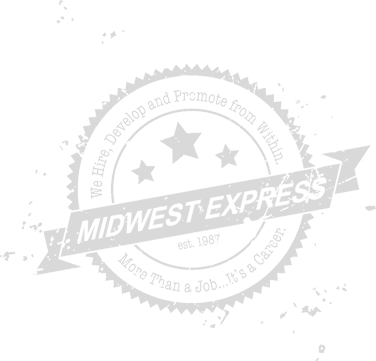 At Midwest Express, Inc., we care about our Associates and their families. We take pride in providing a safe, team oriented environment with unlimited growth potential. Please peruse our available job opportunities. If interested, please apply online or in person! Forklife/Tugger capabilities required and must exhibit proficiency. Overtime pay is paid at time and a half over 8 hours each day and Saturday; Sunday is double time. Company paid medical, dental, vision, and life insurance. Free safety glasses and partial company paid prescription safety glasses. Forklift/Tugger capabilities required and must exhibit proficiency.